CBD Oil Review rates the CannazALL or HempLife Today Brand with two stars because they qualify for the Quality and Mission Badges. CannazALL shouts from the rooftops that they are ‘the world’s premiere CBD oil company.’ Our take? They’re definitely not top tier but certainly not bottom dwellers, either. CannazALL has solid products with ingredients we approve of, and that’s about as far as it goes with the accolades. We acknowledge they’re doing some things right, but they will have to up their game not only to rank higher with us, but to compete in a cutthroat market where others are doing so much more. 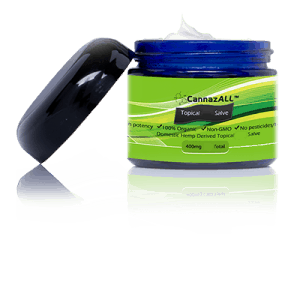 The CannazALL brand is the CBD product subsidiary created by the company HempLife Today. CannazALL was founded in 2014 on the belief that CBD oil added to a daily health regimen can boost the immune system and heal the body. In fact, they promise you will feel the difference or your money back. CannazALL sources their hemp domestically (points for quality and the environment) and utilizes CO2 extraction. They also claim to use a proprietary Nanotech Infusion Process™ that apparently infuses terpenes and other phytochemicals back into the oil. 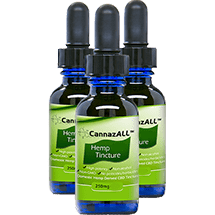 CannazALL doesn’t go into much detail about what exactly this entails, and because they do not publish any test results whatsoever, we are unable to verify that their CBD oil has any more terpenes than usual. CannazALL promises the best pricing on their full spectrum CBD product line. They fulfill their promise in a few ways. First, they offer four-tiered options for each product: the more you buy, the more you save. Next, they give you a credit each time you make a purchase, and they also offer a referral program. CBD Vape Oil – No artificial flavors; ingredients include full spectrum CBD oil, terpene oil, and PG/VG. Bottom Line – The CannazALL brand isn’t the worst around, but they’re not the best either. We’re a bit underwhelmed but could definitely be swayed with posted test results (both potency and contaminants) and charitable involvement. 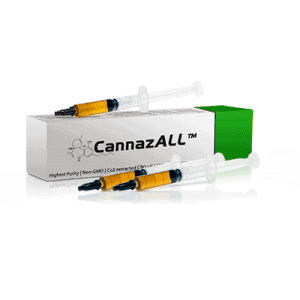 CannazALL products are sourced from domestic, non-GMO hemp that is CO2 extracted. CannazALL is committed to providing the highest quality CBD products on the market to help boost overall health. I have been using CannazAll for three weeks. It has made a difference in my life for certain. I sleep well at night now. I wake up refreshed. I do not have as much pain in my back. I have not had any issues with customer service. They do say it may take more than 3 days to receive, but it has never taken me more than about a week to receive. I would certainly recommend it. I have my mom and dad on it now also. Dad is disabled, and it has helped him with his mobility. 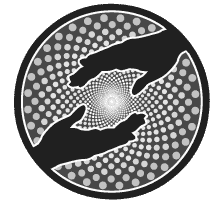 Mom is terminal, and she has seen a return of her energy. I certainly recommend it. First Time Buyer here, Received my order in 3 business Days. Works well compared to other products I have tried. Thanks. BEWARE THIS COMPANY. I placed an order with them and was told we would receive it in 3 business days, only to read the fine print that it was 12 business days. Called and called and called. Finally got ahold of someone, who said we would receive it by Friday. 2 days ago received an email that no one would be there to process out order, and now it will ship sometime next week priority mail. Sent an email to them wanting some kind of discount for the frustration and being lied to. The MANAGER sent me an email back saying he had now cancelled my order, without my permission, and that he was banning my IP address. I now have to get a refund through my credit card company. Beware of this once good company now going under it seems. I call BS! I have been using their products for over a year, and this has never happened. I order regularly and there have been some small delays, but they have always stood by their products and refunds. I have called them on occasion with questions, and they have always answered. This is the worst company I have ever purchased from. I wish I read reviews before TRYING to buy from them. I cancelled an order because it was just going to take way too long. They have since kept my money and won't give me a refund. I have called so many times only to get the run around and that's only if I can get hold of someone. DO NOT BUY FROM THEM. IF you do, it's your fault. You have been warned. They are not even worthy of one star. I just wanted to leave an update. I received my product finally, after about two months of thinking I got took. Listen, these are good people, and they make a good product, I can't deny that. The only thing I would recommend is that they keep the communications open with their customers. I was under the impression that I got scammed since I had no word from them and I could not reach them to verify everything was ok (or for a refund). I used some very critical words in my previous reviews, and that wasn't completely fair. I think this is a good company, with a good product, that is still working out some kinks in the handling of orders and shipments. I ordered 2 tincture s on 09/17/18. 3 weeks later, after the still had not shipped, Icalled them and cancelled the order and requested a refund. As of this post I still haven't received it. I've sent 3 email and spoke with Omar in Customer service twice and still nothing.I was intially told that there was a manufacturer delay but yet they are still sending emails advertising special deals. I think that The company may be sinking because of all the competition and they're try to get as much money as they can be ready they disapear into thin air. The first time we ordered we waited two months and spent hours of our time calling a phone number that never gets answered, and sending emails to this Russell T. Russell promised it was an issue with a machine breaking down and next time will be better and here’s a coupon to save 20% off the next order. So, we figure give em a chance to see what’s up. Well, here we are, two weeks and I’m calling and getting no answers. Then I get an email. Production is down because of a lack of rain in the area... oh. And the comment in the email, “I see your order has not been shipped yet, I will check on the status and get back to you, it may very well be that USPS failed to report that they picked up your order.” Now they are blaming USPS for their own failings. Wish I found this site a few weeks ago. I could have made the choice to avoid being scammed by this company. I've posted a couple times, because I'm doubting some of these positive reviews. I recommend to buy from a reputable company, hemplifetoday doesn't care about it's customers or their ailments, they'll take your money and cut all contact, as they've done with me. Endoca has exquisite products and great customer service. For anyone else who has been taken for a ride by this company ( they just flat out took my money and stopped all contact, and I've not received anything) I highly recommend you file a complaint with the FTC, you have options to protect yourselves from predatory individuals such as these. I am having an issue with them currently. I placed an order and then when the time passed that I should have received it I started trying to contact them. They are almost impossible to contact and get a response. I am in the process of trying to cancel my order that hasn't shipped out yet and have my credit card refunded and they will not respond to emails or send me an email stating that my request has been processed. I would not recommend this company at all. I have contacted my credit card company and filed a dispute to have the charge reversed so hopefully when hemp life gets contacted by my credit card company they will refund my money. It's a pain to have to deal with this. I would stay away from this company! I’m having the same problems. Sent money they took it and no product. these people lied to me twice about shipping. took my money days before shipping and told me they shipped and did not. i don't buy from liars. I've ordered twice now from hemplifetoday, and both times they've delayed the order at least two weeks, the first time was almost a month delay. The product is good, but you won't get it in a timely manner and honestly they aren't much help with these issues, simply giving you a twenty five dollar coupon for your trouble, and the help line is always busy. It's quite upsetting because even as they claim they have a diminished yield from drought (which is the cause of the delay, according to their COO), they are blowing up my email advertising product that they supposedly don't even have! I ordered this time giving them the benefit of the doubt, but now I'm doubting that I'll even get the product I payed 150 (money taken out of account almost immediately, and here I am almost two weeks later with nothing to show for it) If this changes I will certainly update my review to reflect that, but as of now I can't recommend to anyone, and in fact I would recommend against it, unless you like waiting 10-30 days for guaranteed 2-3 day shipping. Advertise on your site if you are expecting a major delay, would be my advice. It's so frustrating to wait a couple days for your order only to be informed that now you'll be waiting a few weeks and that they have no problem taking your money in the meantime. This company has provided me and my family the best CBD products ever. I've tried about 3 other company's products and we got very lackluster results. I'm taking CBD for chronic lower back pain, my son is taking it for anxiety and panic disorder, and my wife for restless legs. ALL of us have gotten an amazing result from their concentrated oils! I've come off of the nasty prescription pain pills, my son is off his anti anxiety meds and my wife is sleeping like a baby! I love their support, Russell is the best and helps us every time. They have great sales that make it affordable and they even threw in 6 free gelcaps a couple times when I didn't even ask! Total dishonest company, complete lack of customer service just a bunch of lies. I bought product which was suppost to have 6 free gelcaps but they were not in my package. Emailed 3 times and was lied to 3 times that would be sent and still do not have them and this was over a month ago. I could have gotten over it took them 10 days to send my package but this is over the line. The 6 free gelcaps were the reason i chose to order from this company and then completly ripped off. Stay away in my opinion bad company. Follow up ive been using the concentrate for over a month now. Not that great really ive had way better without getting robbed. They stole 150 from me, gave me some story about the delay then just stopped contacting me. Didn't get product or money and they must have blocked me also because I get no one every time I call. I recommend you file a complaint with the FTC, as I've recently done. Luckily this isn't the day of the snake oil salesmen and we have actual recourse when companies like this victimize consumers. I tried other cbd products before Cannazall and they didn't work at all. I purchased 250 mg tincture to help me sleep (30 - 50 mg a day), which works extremely well. What I didn't know is that the pain in my shoulder, hip, and toe have all but disappeared. I am in my late 40's and have not felt this great in 20+ years. I would recommend Cannazall all day long! I love this product it has helped with my pain, constant nausea and sleepiness. I was sleeping over 12 hours a day and since using this product it is a loot less. I like there cbd products. I have tried almost all of them. I feel like the pre load syringes work the best for me. The pills are good if you like taking capsules. And the tincture is pretty good cause it has a peppermint taste.The shipping is pretty fast.I would recommend this company. I love this product. CannazALL has changed my life for the better. I feel like a new person. I absolutely love CannazALL by HempLife, the products work great. Gelcaps are my favorite and help so much with my hip pain and stress/anxiety.I've had nothing but a fantastic experience with their customer support (love Russell), shipping and ordering process. I love all the sales they have too as it makes it so affordable for me! Great company to work with, just ordered 6 more Bottles ! Thank you Russell T !! I have tried oil from local stores and CannazALL. Let me tell you that the CannazALL has worked wonders for me. Just started giving some to my min pin for her backward sneezing and it seems to be helping her. I struggled with anxiety for the longest time and feel like the products from CannazALL are life-changing. I was falling into a depression because of the severity of my anxiety and panic disorder, and tried many other medications, nothing offers relief like this! My Wife started taking the cannazall capsules to help with her anxiety and in a very short time she has started to feel better and is able to leave the house. I Have been using the CBD oil in my e-vape device for quite some time and it really help with my joint pain. Got to say cannazall is a very good product. I've used Cannazall from about 2 months now,it works for me..I have arthritis in both knees and can tell a big difference when I use this product..I wanted to try a product without flavor I didn't even use a half bottle and came back to Cannazall..
Hi, my son was diagnosed with Type 1 diabetes when he was nine. He is now eleven and cbd oil drops have been great for him. He normally gets an upset stomach and probiotics help a little but nothing like cbd oil. I give him one dropper full under his tongue. He loves it and always makes him feel better right away. Good luck! My wife and I are amazed with this product. She suffers with anxiety and PTSD. I have degeneration in my spine and neck along with tension headaches. It works immediately to relax the entire body, take away pain and anxiety. I can sleep the entire night through without pain or even waking up.We are using the CannazALL Tincture. It only takes about 1/2 dropper 5mg to have a very positive impact.I find it stronger and more effective than pain meds. Jim, no personal experience with but in perusing reviews I did see one positive CDB review for diabetic neuropathy just last week; another positive review for a persons diabetes (no specifics). Considering all the positive reviews for pains & physical discomforts, seems logical it may well be effective. Am sure there are some, but I have read hundreds of reviews and no downsides other than "didn't do anything." Be Well! In my research, it is supposed to help with diabetes and pain. I would suggest increasing you dose over a period of time. Do so until you feel a difference, and then hold there. You cannot overdose from what I've read. Jim, I also have peripheral neuropathy in both feet and ankles. It is not from diabetes, but idiopathic or unexplained causes (actually believe I got it from taking gabapentin for in excess of five years).Bottom line is I am off the RX, tried nine types of CBD oil before this one and CannazALL is far superior for neuropathy! For me, it works in about 15 minutes and knocks out the pain for 6 hours (second dose should be taken after 5.5).They did have delivery backlogs in 2018 due to a drought, or other natural causes, but do not expect that to happen again.Has anyone had success with fibromyalgia or migraines for my friends? I haven't tried cannazall yet. I had a lower back fusion surgery in 2013. The surgery damaged the nerves that control my left leg and foot. I have permanent foot drop and my left leg doesn't always want to move when I want it to. I use a mobility scooter if I need to go very far. I have sharp burning pain in my left foot from time to time, The pain always hurts in an different part of my foot. The pain is very intense for 3-5 seconds then subsides for abt 5-10 seconds then the pain hits again. This afternoon as I was driving for Uber my foot was starting to cause me much discomfort. One of my riders gave me a sample of CBD oil from Hemp. I put two droppers worth of CBD oil under my tongue and like a miracle the pain stopped. It has been around eight hours now and the relief is still amazing. I am sold on CBD oil. CBD oil has my vote. I might try cannazall. I too have had spinal fusions (3 different spinal surgeries) I just received my order. Took a dropper full and now await its pain relief. Thank you for your post. It made be more confident. I hope you continue to be pain free as I hope to reach a tolerable level. Peripheral neuropathy is awful! (That burning pain you have, me too and it climbs up from my feet to the back of my calf. Miserable!!). I'm going to give it 5* as I'm hopeful. Think you definitely should! Best product of the 10 tried so far for pain management. I too am finally reaping the benefits of CBD! I am happy not using opiates. Thank you! This product has helped me immensely. I take a 25mg capsule everyday along with turmeric, which boosts the effects, along with a high EPA Omega-3 fish oil tablet.This combination is great if you suffer from depression and anxiety. This oil has changed my life for the better. I currently take 20mg morning and night. I am happier, more energy, WAY less depressed, and my anxiety is almost gone!!! I will never stop using this product. I find myself dancing around the living room, singing more, I smile more. My kids and husband have also notice a big difference. You will never know until you try it. The tincture CBD oil is awesome. My blood pressure readings are within a healthy range for the first in ten years after taking this product. I highly recommend. I give HLT 5 stars--and then some! Woah! You gave them one star instead of the five you intended. Are you one who brought their rating down to 3.3 stars? We are grateful for this company and plan to try product soon. They are one of the only companies who have REDUCED their pricing 3 times in the last 12 months! It shows that as production increases, and costs come down, they are truly willing to pass this on to the consumer to make the product more affordable. 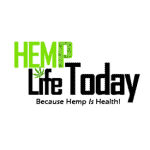 I have found that their domestic hemp derived cbd products are of MUCH better quality than anything I've tried... especially the crap CBD that is being imported from Europe, china and south America. Theirs is USA grown hemp and to be fair, they did provide me with a certificate of analysis (testing profile) with my order. This review says they don't offer it publicly and I don't think they should have to offer it publicly, should they? I have been taking their oil for chronic pain and allergies... helps immensely for both! Josh, I see you take it for Chronic Pain. May I ask you which one you take, doseage & how often? Im new to this & I too have suffered with chronic pain plus my fibromyalgia. Or if anyone else reads this & can offer me some advice I'd gratefully appreciate it! Thanks, Teri H.
I have researched Fibromyalgia because my father has it. The best thing to do is increase your dose over time until you notice a difference. You cannot overdose on it, so don't be afraid. My dad has been taking 6 droppers a day. I have just bought him the 800 mg concentration which I send him tomorrow. I can't believe it's legal. It is very effective for depression and anxiety. An added bonus is I sleep better too. I have no side effects, except I am not jumpy anymore and I don't beat myself up repeatedly for things I can't change. Finally my brain and heart get to rest and relax. The taste isn't bad either. It's has a minty oily flavor invoke under my tongue for about 1-2 minutes and I feel it within 15 minutes. Thank you so much. It works for me. Perhaps you need a medical marijuana card. I'd its not legal in your state then move where it is. For me, this works. BTW, Rick Simpson is a recipe not a product. Anyone can make it including you. Get a good doctor that can prescribe it and a good clinic with good reputation to get it from. Good luck, but this stuff works for me, so don't scare everyone away. John, 30% is the concentration... they are not being dishonest in labelling it this way, it is an industry standard. Out of each 1gram or 1ml of oil, it is a 30% concentration of CBD... the other 70% is naturally occurring hemp oil... or whatever oil it is extracted into. Also, Rick Simpson oil is great but people have burnt their houses down making it and if you live in a state where growing marijuana is illegal, then you are breaking the law.